Of the long list of things that can strand us far from everywhere, it’s a little underwhelming that many experts put something as simple as tyre failures at the top of their list. Few of those that regularly travel to remote places with success rely on luck alone. Most drive vehicles that are fanatically maintained, and they tend to work hard to prevent things from going wrong. Often these people are also the best prepared to deal with a mishap should one arise. Sometimes it’s their spare parts and know-how, and at other times the satellite phone, but things often end up as “no big deal” when they are around. 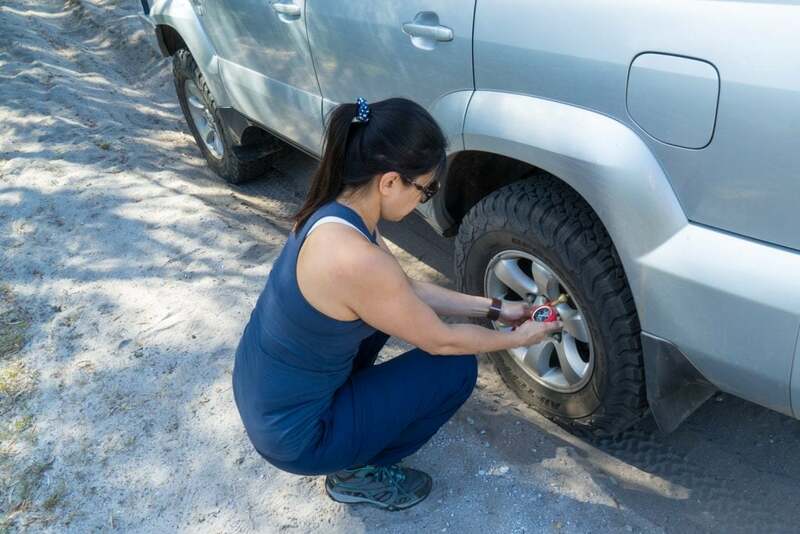 Back to tyres, and starting with tyres suitable for remote outback travel is key. A high quality all-terrain tyre is the most popular choice for touring these days, and for good reason. These types of tyres are becoming more aggressive for off-road work as well as quieter on the highway, so we are closer to being able to enjoy the best of both worlds than ever before. Quality all-terrains are thicker than their highway counterparts. It’s easy to imagine that this makes them less prone to punctures from sticks and sharp stones, what we sometimes forget is that they also work better at lower pressures. With thicker rubber, they lengthen which increases our footprint, whereas thinner tyres tend to droop sideways, which is less effective when off-roading, and leaves them more exposed. As well as the type of tyre fitted, it’s worth considering the life left in the tyre. 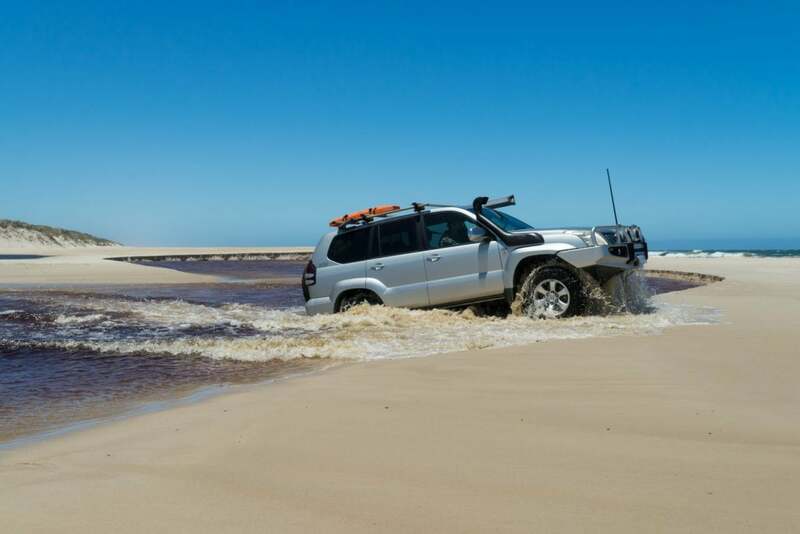 When heading to remote locations it’s more about whether our tyres are fit for their important job than above the legal limit. 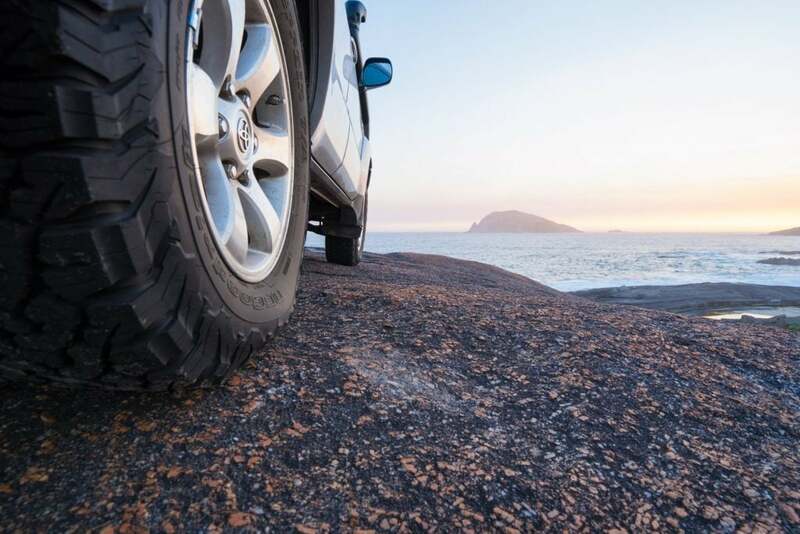 More and more travellers are choosing to change their tyres at a more regular interval, and are likely reducing their chance of headache due to tyre failure. With tyres are at the frontline of the constant blows of our outback tracks anything that can reduce this impact will also help tyres. Running tyres at lower pressures means the tyres themselves can give a little. They can absorb some of the shock at faster speeds, and flex and mould around obstacles at slower speeds. 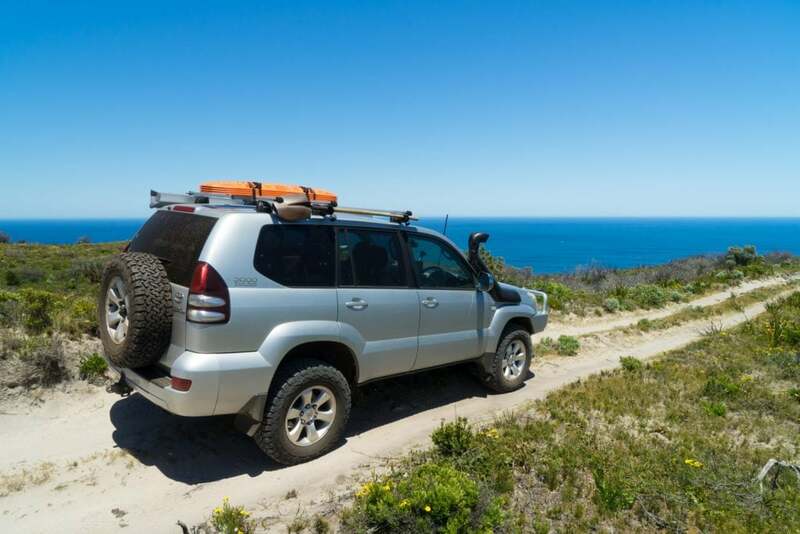 An after-market suspension upgrade can also assist in a similar vein. The longer travelling shock absorbers and coils absorb even more of the impact. Even making sure that all rubber bushings are in good condition will help. It’s also worth taking a critical look at the kilograms that are being packed. It’s usually easy enough to shave some noticeable weight from packing lists without a noticeable difference to camp comfort. Less load will mean less impact on tyres. As a bonus, attempting to lessen the impact on our tyres can also soften the ride for us! Additionally, when our tyres are not the right type, are overloaded, are being overworked, or are running too hard or soft – they may get hot. This heat left unchecked can lead to failure. Until recently relied on occasional manual checks to monitor temperature and pressure. We’ve recently installed the ARB Tyre Pressure Monitoring System so this information is now available to us live. We use the internal valve replacement version, but an external system is also available. It’s a pretty simple system. 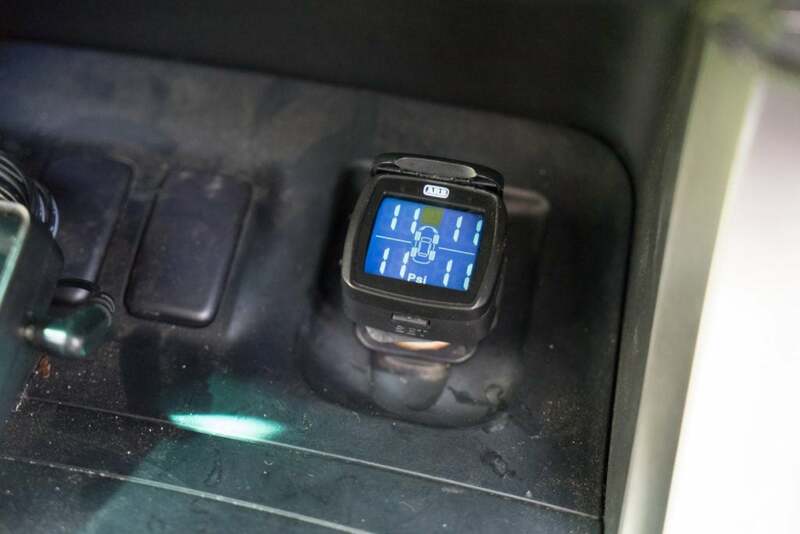 The standard valves have been replaced and in the cabin, the display simply plugs in to a 12-volt outlet. The display has inbuilt alarms. With goal tyre pressure set the system will alarm when the actual pressure deviates too far. The system also alarms when tyres get too hot or rapidly deflate. Travelling at speed an early warning of rapid air loss can provide valuable extra seconds for safe stopping. In other scenarios, the warning is more about preventing failure. Letting tyres cool down. Adjusting their pressure to better suit the terrain, speed and load. 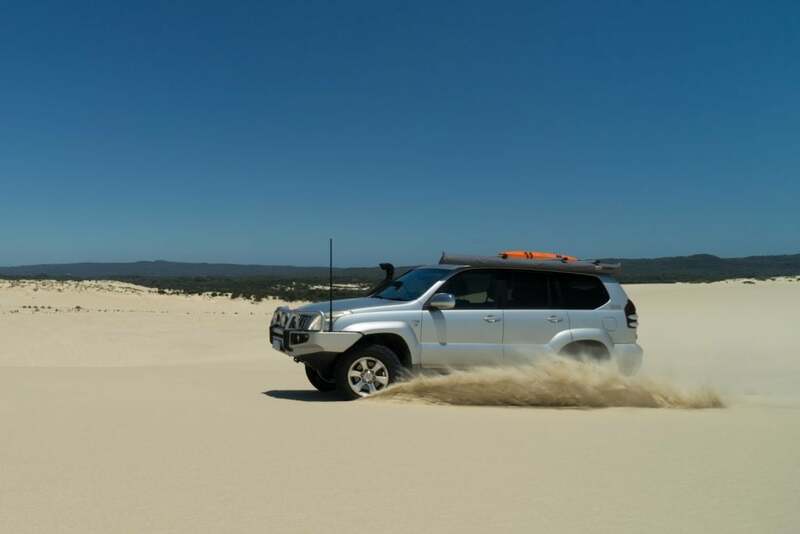 Tyres are much like our four-wheel drives. To perform well on remote trips, we need to start with good ones, look after them, and keep an eye on them during our travels.